Telecoms.com periodically invites expert third parties to share their views on the industry’s most pressing issues. In this piece Dan Faulkner, SVP & GM at Nuance Communications argues that maybe it is time to start sweating the small stuff when it comes to CSP revenue streams. Don’t sweat the small stuff. While perhaps a good mantra for life, for Communications Service Providers (CSPs) looking to differentiate themselves in the increasingly competitive market – the small things matter a lot. CSPs are facing a wealth of new challenges: traditional revenue sources are dwindling, stagnant regulations continue to threaten market nimbleness, while new OTT (Over-The-Top) providers – whether a smaller player or a tech giant like Google and Amazon – are dividing subscribers and, revenues. Competition is tough, but thankfully CSPs have a secret weapon up their sleeve. In the ever-more competitive market for users’ attention and business, the relationship that CSPs have with their subscribers means that they know their customers better than anyone. As customers increasingly expect personalised services, understanding how they like to receive information, what services they use the most, and how to drive more value for them each day is a treasure trove of insight waiting to be exploited. CSPs must leverage this knowledge to deliver the best experience for subscribers – cutting out their competitors by consistently delivering what they want, when they want it and on the right channel. With a wealth of subscriber information at their fingertips, CSPs need to tap into this opportunity and dedicate more resources to creating those small customer experiences that can add up to big revenues. CSPs are arguably in a unique position at the heart of today’s connected ecosystem. Powering the data that gives life to mobile devices, services and the Internet of Things (IoT), as well as providing access to content and services within the smart home. But when there’s so many different ways to slice and dice the data, it’s hard to know what to focus on, resulting in potential for lost revenue. If harnessed in an intelligent way, this data can be incredibly valuable. A report from Analysys Mason recently found that robust analytics can help CSPs to reduce churn, increase existing subscriber sales, drive new customer acquisition, as well as reduce costs. Once they are accessing the right data, CSPs then need to make sure it’s being used to effectively engage subscribers. One way to do this is by analysing subscriber profiles, offer conversion rates, content usage, and network activity to create and place offers that are personalised for each subscriber. The Analysys Mason report also found that less a third of CSPs are currently offering truly personalised services to their subscribers, with 71 per cent of the service offerings based upon group segmentation. But personalisation is key to effective upselling. Offering a prepaid subscriber, who is running out of data, the opportunity to purchase just enough data that will get them through until their next bill is a great example of a relevant and valuable offer to the customer. Making sure that the offer is right for the individual is key to avoiding spamming customers. This is also the case for post-paid subscribers, who are likely to appreciate being sent a personalised data package that is tailored to their personal usage when running low. Or a user that frequently downloads fitness apps may be interested in a subscription that the CSP could offer to health and wellness articles – such as, “just 99p a week, and the first week is free if you sign up today”. A good offer comes at a time when it will increase both customer satisfaction and revenue. It’s unlikely that a subscriber will sign up for a new value-added service when they don’t have enough balance, or when it will use up the precious last bit of data that they need for everyday activities until the end of the month. This kind of offer needs to be at the beginning of the payment cycle, if subscribers are to be encouraged to splurge. When it comes to personalisation, it’s not just ensuring the ‘what’ is tailored to the subscriber, but also the ‘how’. Some subscribers prefer to be called by a human agent, while others may prefer to receive push-notifications. And it’s important to ensure that the offer is displayed appropriately for the channel. If it’s coming across a mobile phone, it needs to be presented as a clear “yes or no” option so that users can easily understand and accept, such as “would you like to top-up for £10?”. While it is daunting to manage all these components – the offer, channel, data, and timing – artificial intelligence can now take on a great deal of the heavy lifting for targeted subscriber engagement, massively supporting CSPs in monetising the small opportunities. New intelligent platforms and solutions are making it easier than ever to analyse subscriber data to deliver the most valuable and relevant services. These small upsells across an entire subscriber base can translate into millions in extra revenue, as well as driving brand differentiation and increased loyalty among customers. Ultimately, for CSPs wanting to get the most out of their data, it’s time to sweat the small stuff. 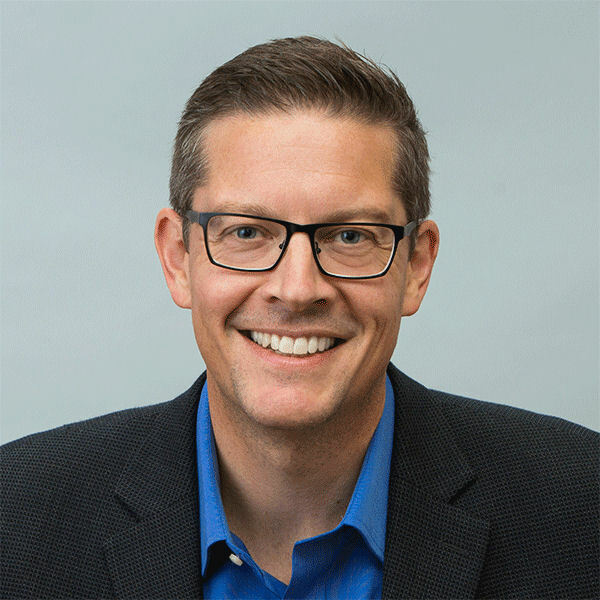 Dan oversees the Communications Service Provider line of business at Nuance and has been an important part of Nuance’s business development and strategy since joining the company over a decade ago. Dan holds a Bachelor’s degree in Linguistics from the University of Manchester, and two Master’s degrees in Marketing and Speech & Language Processing.